Established in 1995, AOK has made concrete contribution to seal o ring industries for over 20 years. The company supplies high quality Valve Seal for cars such as Alfa Romeo valve seals, BMW vehicle valve seal and motorcycle’s, etc… In order to maintain high quality, the seal o ring from AOK are all inspected thoroughly, therefore, AOK has won worldwide recognition. With more than 10 years of experiences in designing and producing all kinds of oil seals, AOK has acquired rich knowledge and the latest technology in the automobile application field – being a professional valve seal manufacturer with ISO9001 and TS16949 qualification. AOK markets globally and sells the valve stem seals in European, North America and Asian countries. Maintaining excellent quality and customer satisfaction is AOK’s No. 1 priority. AOK provides you with top quality of valve seals. If you are looking for various seal o rings, rubber parts, oil seals, or others, please do not hesitate to contact with AOK. Let them know your requirements in order to find what you need. Most mechanical systems require seals. These devices help join mechanisms together by preventing leakage and are crucial to the functionality of machinery. A gasket is a type of seal that is compressed in the area between two or more surfaces. O-rings are donut-shaped gaskets that can be used in static or dynamic applications. Furthermore, O rings are easily manufactured, inexpensive, and dependable; making them one of the most common seals used in machinery across the globe. Where to Find Excellent O Rings Manufacturer? There are so much great O-rings manufacturers that you can find by the Internet, such as AOK, BOYD, JENP etc. Here, I recommend one of the excellent o ring manufacturers to you – Chain Yeeh Industrial Co., Ltd. 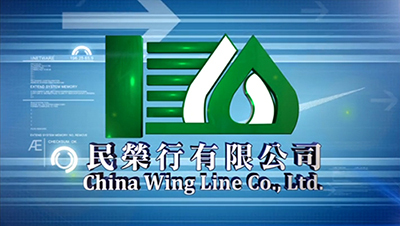 Established in 1991, Chain Yeeh Industrial Co., Ltd. is a manufacturer of specializing in high quality oil seal, O-ring and packing. Manufacturing process from mould opening to finished products are all engaged in Chain Yeeh’s plant that can offer professional design and production for clients with special needs. Besides, their own brands, the worldwide marketing trademarks, are highly praised by American and European partners. In 1999, Chain Yeeh brought in the ISO-9002 system. Put them into practice on the manufacture process and then successfully acquired ISO-9002 and ISO-9001 certification. Chain Yeeh says that they will insist on policy that only high quality and customers count and keep in offering clients upper-quality products in the future. AOK Car valve seal manufacturer has more than 10 years of experiences in designing and producing all kinds of oil seals. We supply high quality valve seals for car valve seal such as Alfa Romeo valve seals, BMW vehicle valve seal, Chrysler valve seals, etc. In order to maintain high quality, the valve seal from AOK are all inspected thoroughly; therefore,AOK has won worldwide recognition. Also, there is another important product bonded seal. AOK Valve Seal Ltd. supplies various bonded seals (sealing washers) which are also called “Dowty Washers”. We focus on creating value for customers by providing outstanding technical and manufacturing services. 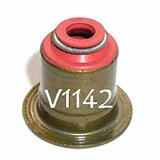 We hope you will find our site informative and helpful to your valve seal needs. Moreover, please never hesitate to contact us by phone or e-mail after browsing our site, please fill out our inquiry form and we will send you any additional details that you inquired.